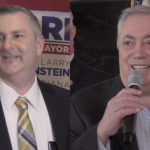 North Bergen mayoral hopeful Larry Wainstein says that Mayor Nick Sacco and his re-election slate lied about collecting over 52,000 petitions for nomination as a group, but the incumbents say that they only submitted a portion of that number as part of a strategy. 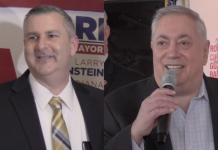 “He [Sacco] said he surrendered those petitions to you,” Wainstein said to Township Clerk Erin Barillas in a YouTube video released by his campaign last night. “No he did not,” Barillas responded. “He had them inside the township, in Town Hall,” Wainstein continued. “But he didn’t give them to me. I did not accept those petitions that were downstairs,” Barillas answered. 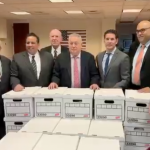 While the footage is not dated, it seems clear that the video was filmed the same day that Sacco and the Board of Commissioners announced that they had filed over 52,000 petitions of nomination, collectively, during a March 8th press conference. In a rare instance where the Wainstein and Sacco camps are in agreement, both sides revealed today that the incumbents ended up filing about 1,100 petitions each. “This is another instance of Sacco lying to the public. Sacco said on filing day and then again at his campaign rally that they had over 10,000 signatures,” Wainstein said in a statement. 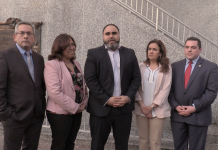 However, Board of Chosen Freeholders Chair Anthony Vainieri (D-8), also the chair of the Sacco re-election campaign, along with campaign spokeswoman Wendy Martinez, fired back at Wainstein during a short presser at their headquarters this afternoon. “We filed, with the clerk, somewhere around 1,100 petitions. I walked them in myself personally. They were filed with the municipal clerk, okay? 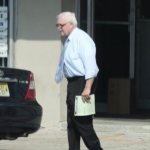 He’s just mad because he can’t get his hands on these petitions to go after our supporters,” Vainieri began. 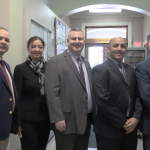 Martinez added that the Sacco team decided to only file about 10 percent of the petitions they collected in order to keep the clerk’s office operating smoothly and be put in a predicament where municipal employees had to work overtime. She also said that Wainstein’s campaign video quotes Sacco at his campaign kickoff rally as saying his team had gathered over 10,000 signatures per person, not submitting that number to the clerk’s office. 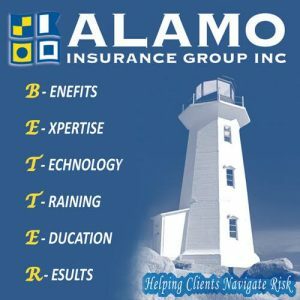 “Each and every one of you here, who spent the last month out getting petitions, so we have about 10,700 petitions each,” Sacco said on March 11th. The boxes of unsubmitted petitions were also on display inside headquarters and the press were welcomed to inspect them. 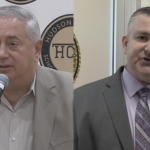 When asked by HCV to respond to accusations of being disingenuous or engaging in gamesmanship, Vainieri said the campaign has no reason not to accommodate each and every person who wants to sho support. 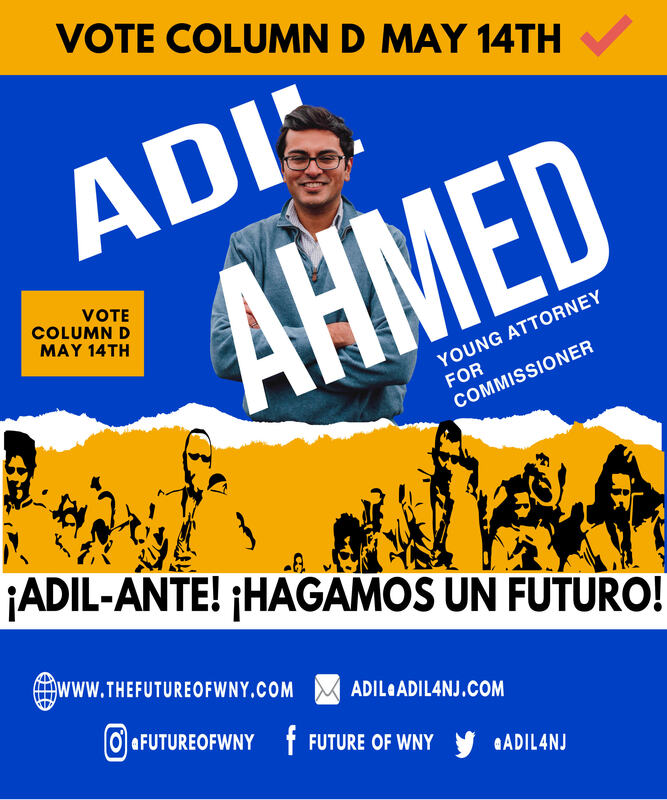 “When our supporters and volunteers are walking the streets and getting nominating petitions, it’s hard to tell somebody, ‘no, don’t sign anymore, we don’t need the signature,’ he explained. Wainstein was not immediately available to respond in person, but campaign spokesman Hank Shainkopf blasted Sacco over the situation. “Power plant Sacco and the truth don’t usually meet, petitions are due on a date according to the law, not when he feels like he ought to be provided,” he said. Meanwhile, Vainieri found it amusing that “Lying Larry” would accuse the Sacco campaign of spreading misinformation. “He doesn’t live in North Bergen, [it’s] comical,” he concluded. 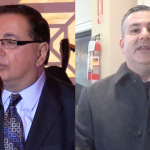 The North Bergen municipal elections are on May 14th, a rematch that has been four years in the making after Sacco bested Wainstein after a grueling 2015 campaign. Please go back to franklin lakes. Mayor Sacco only needed 350 petitions. You want to try and smear everyone. 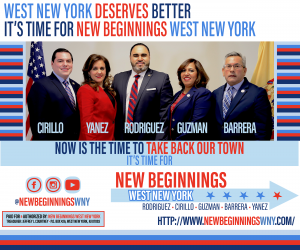 Your petitions are signed by people like yourself who do not reside in north bergen. You pay for votes. You have convicted felons running your campaign. 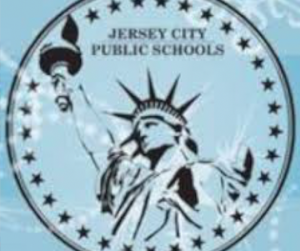 Go away stop wasting your money and lying to the good people of North Bergen . They are tired of your lies LYING LARRY. 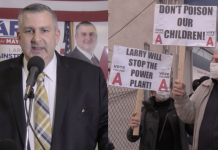 You think people are stupid … if larry does not live in north bergen, by law he can not run for mayor, and people who are not registered to vote in north bergen, can not sign petitions, you have no more arguments to give and they know that they have the town destroyed and that people do not support more. Is Enough. In 2015 the campaign slogan Sacco Liar was: “Stable Taxes”, … but of course, what has been “stable” is the rise of the Taxes, even so what has remained stable are the schools in terrible conditions, and with a dismal school district rating of 2-3 in a range of 10, with overcrowded classes, no air conditioning, no computers, old books, and poor preparation of our children to continue higher education, which It is a disadvantage when it comes to wanting to access good universities, in addition, teachers involved in politics. Also, our sidewalks and streets have been kept “stably” dirty and broken, the most expensive pool in the country, the exemption of taxes from large corporations and developers, who have filled the city with new buildings, creating an overload on the old schools and the availability of parking, as well as the drainage system of the city, has also kept stable the deterioration of the parks, as well as the intimidation and threats to the elderly people living in housing, to keep the vote at their abducted and while they deliberately campaign in all those buildings, they prohibit Team Larry from having access to talk with their constituents, in a frank violation of the first amendment of the United States, which establishes Freedom of Expression and Pacifica Reunion. 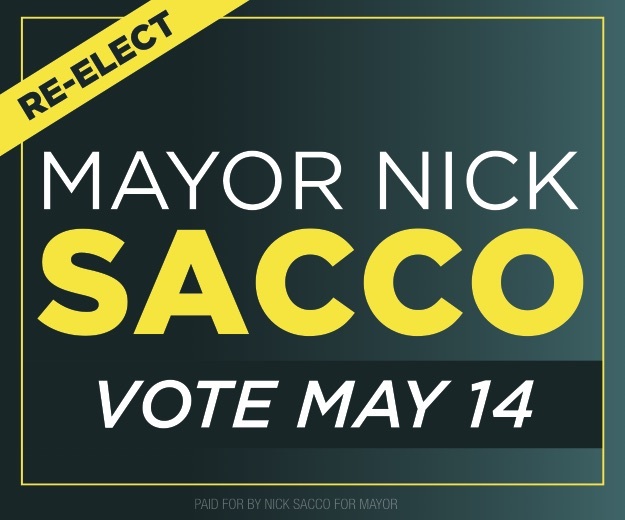 … Now the Sacco Campaign Slogan is: “Keep our Town Forward” ….. Yes, Forward to disaster because they have inaugurated the bridge on 69th Street, between West Side and T Onnele Ave, after 12 years of construction and the theft of millions of dollars from the taxpayers, and everything is a sham, because the bridge has not been finished yet, the traffic is horrible and worse than before, they also want to continue poisoning the The air that we breathe and the water we drink, with the construction of a gas plant, that uses the method is schizophrenic, with the serious consequences of all this for the environment, flora, fauna, affectation of the water sources of human consumption and our health in general, which will increase the already high rates of cancer and the incidence of autism in our children, which are precisely in our city of the highest in the country, our chance to prevent it is May 14, voting the Column A, because it’s Our Town, Our Time ..
That’s a word salad if I ever heard. Who cares about petitions? Larry the liar is an outta town candidate.